HUMMER Repair in Orlando | C & G Auto Center Inc.
For first-class HUMMER auto repair services, come to the team of top-notch auto mechanics at C & G Auto Center. We’re well respected in the communities of Orlando, Davenport, and Winter Park because our dedication to quality auto repair and customer service is second to none. Whether the issues with your Hummer are big or small, you can be certain that we’ll get to the root of the problem and you back on the road in no time. When your HUMMER is showing signs that could indicate that auto repair is in order, it’s important that you go to professional and highly skilled auto mechanics immediately. That’s exactly who you’ll find at C & G Auto Center. If HUMMER auto repairs take some time, we have shuttle service, Uber rides and can get you an Enterprise Car at a discounted rate. If repairs take a short time, feel free to wait in our waiting area. If your little ones are with you, you’ll be glad to know that it’s kid-friendly with candy and cartoons. “C & G Auto Center was absolutely amazing! They were professional, friendly, courteous and helpful. They explained everything in detail before working on my car and gave me regular updates during the process. They went the extra mile to inform me about other potential issues as well. Their facility is clean and comfortable. I would recommend them to anyone needing auto repair services!” -- Carmelita S.
C & G Auto Center is committed to providing car owners in and around the Orlando, Davenport, and Winter Park areas with top-notch auto repair and customer service. Please contact us for HUMMER work, schedule an appointment online, or visit us at 4155 W Oak Ridge Road in Orlando. Clients rely on our team of adept auto mechanics to offer services that are unrivaled by the competition. 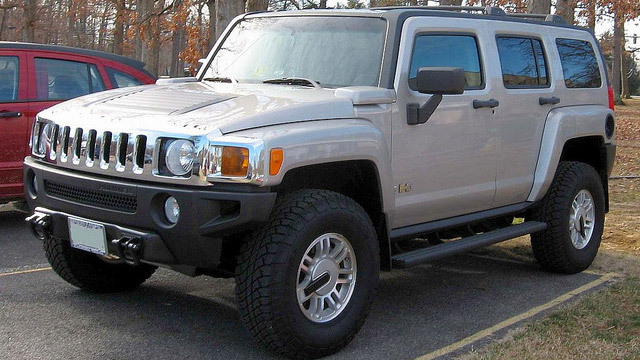 We look forward to giving your HUMMER leading services so you can get back on the road feeling secure.